CutePDF Writer may be just what you need, a virtual printer without trinkets or complications. Creating a PDF document in the past seemed to be something that only owners of the expensive Adobe Acrobat package could do. Thanks to this program and others in the same category, creating PDF files is rather simple for the masses and in this case, completely free. 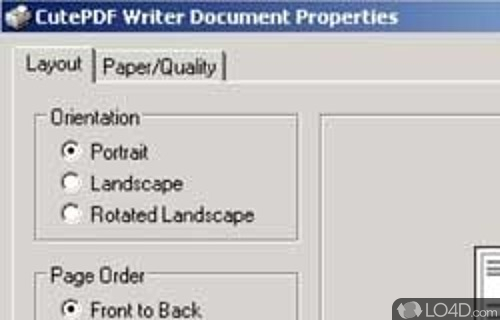 CutePDF Writer is software which can install a virtual PDF printer. CutePDF Writer is licensed as freeware for the Windows (32-bit and 64-bit) operating system / platform from pdf software without restrictions. 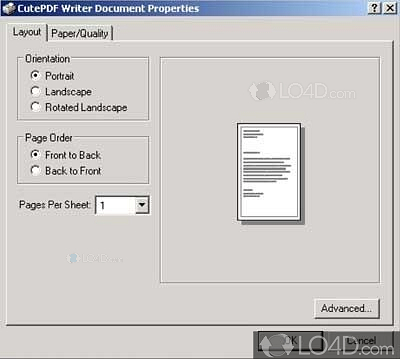 CutePDF Writer 3.2.0.1 is available to all software users as a free download (Freeware). Compatibility with this software may vary, but will generally run fine under Microsoft Windows 10, 8, 8.1, 7, Vista and XP on either a 32-bit or 64-bit setup. A separate x64 version may be available from Acro Software. This download is distributed as CuteWriter.exe. 4.1 out of 5 based on 12 ratings.